Resorts Casino Hotel will soon become the fifth Atlantic City property to offer online gambling inside New Jersey. 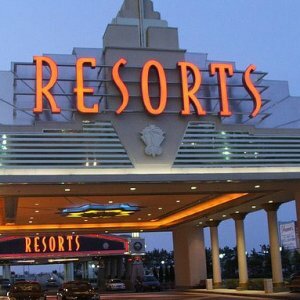 Resorts, which holds the distinction of being the first casino to open outside of Las Vegas, announced Wednesday that it had received a transactional waiver from the New Jersey Division of Gaming Enforcement to accept online bets at ResortsCasino.com. Before receiving final approval by the DGE, Resorts will offer a free play version of its online gambling suite during a five-day soft launch. If all goes well, the casino could be taking in real money bets before the end of the month. While New Jersey regulators have given Resorts’ online casino product the green light, its poker partner, PokerStars, remains on the waiting list. Many of the state’s online gambling insiders have blamed Governor Chris Christie for delaying the launch of the popular online poker platform as a favor to Republican mega-donor Sheldon Adelson (pictured). 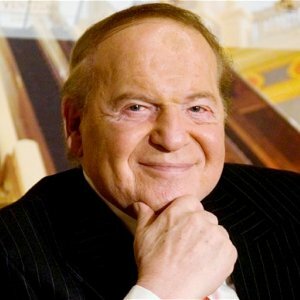 Adelson donated at least $150 million to his favorite GOP candidates in the 2012 presidential race. Christie, who has an eye on the Oval Office, is clearly hoping Adelson will turn on the faucet for him if he decides to make another run for President. With that in mind, analysts believe that Christie is singlehandedly delaying PokerStars’ entrance, along with the jobs the company will create, in order to bolster Adelson’s anti-online gambling campaign. Resorts is hoping its online gambling division will help boost revenues in the face of a struggling Atlantic City market. The casino ranked last in revenue generated in 2014, raking in $139.3 million to first place finisher Borgata’s $687 million. So far, though, 2015 has been good to Resorts, which took in $45 million in January for a 6.6% year on year increase. Resorts and Stars are already partners. Just waiting for Stars/ Tilt to get the green light in NJ. Chris Christie should move to Dallas where he can be closer to his beloved Cowboys. 35 seems a bit high no?